A BuzzFeed News reporter was castigated Tuesday night after he said that recognizing the victims of communism over the past century is a "white nationalist talking point." 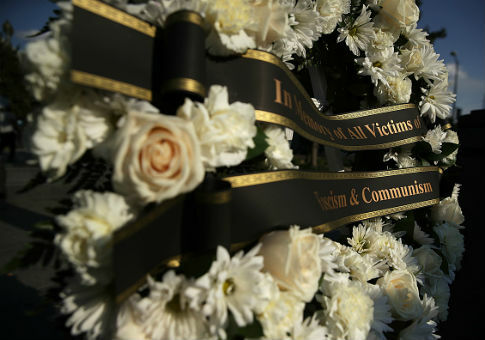 The White House announced hours earlier that it was designating Nov. 7 as the National Day for the Victims of Communism in recognition of the 100th anniversary of the Bolshevik Revolution in Russia. "Over the past century, communist totalitarian regimes around the world have killed more than 100 million people and subjected countless more to exploitation, violence, and untold devastation," the press release said. "These movements, under the false pretense of liberation, systematically robbed innocent people of their God-given rights of free worship, freedom of association, and countless other rights we hold sacrosanct." 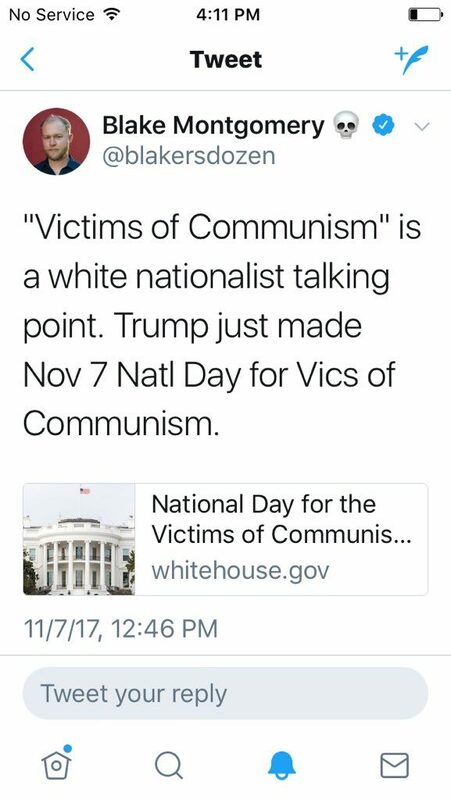 But BuzzFeed tech reporter Blake Montgomery wrote on Twitter that President Donald Trump was playing into a white supremacist meme by recognizing "victims of communism." Montgomery's tweet was met with criticism from other reporters and pundits, including his BuzzFeed colleague Miriam Elder. There are plenty of people who are not white nationalists who think this should be commemorated. Soviet oppression was real. Montgomery eventually deleted his tweet and apologized, calling his message a "dumb mistake." This entry was posted in Politics and tagged Buzzfeed, Communism, White House. Bookmark the permalink.